A local man who used to teach sixth grade and coach cross country at the local school has been charged with gross sexual assault. Benjamin H. Hodgdon II, 45, is accused of sexually assaulting a student “30 to 40 times” in 1999 and 2000, according to an affidavit and request for an arrest warrant filed last week in Hancock County Superior Court. The girl was 13 and in eighth grade at Tremont Consolidated School when the alleged assaults started in late summer or early fall of 1999, according to the document. Hodgdon, who was 31 years old at the time, had been the girl’s sixth-grade teacher and was her cross-country coach at the time, the affidavit indicates. The alleged assaults stopped when the girl entered high school in the fall of 2000, when she was 14, the affidavit states. The BDN is not identifying the girl because she is considered the victim of sexual assault. In the document, Detective Stephen McFarland of the Hancock County district attorney’s office wrote that, when he interviewed Hodgdon about the allegations last November, Hodgdon acknowledged assaulting the girl when she was on the cross country team he coached. Hodgdon also told McFarland he had assaulted another girl who was going into her senior year of high school, but the affidavit does not indicate when. Also according to the affidavit, the alleged victim used her cellphone to record a video conversation she had with Hodgdon in his truck in September 2012, when she was 26 years old. McFarland said that he watched the recording, could see Hodgdon in it and could hear him saying, “I cared for you” and “please don’t do that” when she threatened to tell police about the alleged assaults. 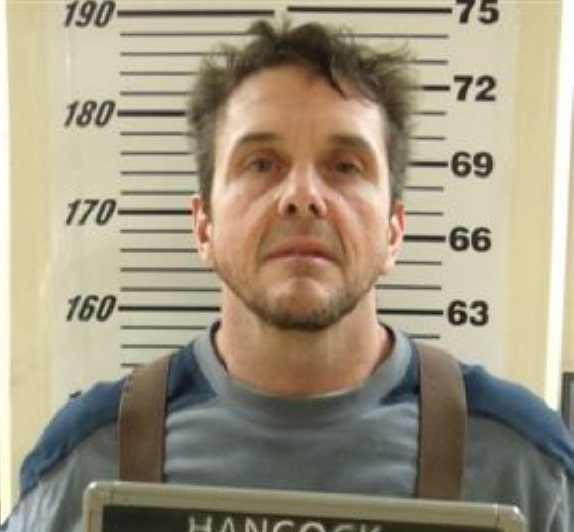 Hodgdon was arrested by McFarland on Jan. 3 on a charge of gross sexual assault and taken to the Hancock County Jail. He subsequently was released on $5,000 cash bail and is due to appear in Hancock County Superior Court on Feb. 4, according to jail officials. It is not clear if Hodgdon has a defense attorney yet to represent him in the matter. Attempts Thursday to contact Hodgdon were unsuccessful. McFarland said Thursday that it has been years since Hodgdon worked at the school, but he was not sure exactly when Hodgdon last worked there. He said Hodgdon left his job at the school well before the case was reported to police. The detective added that police are not investigating Hodgdon’s claim that he assaulted the other, older girl. McFarland declined to elaborate why that claim is not being investigated. “I’m not expecting anything to come out of that,” he said.